Are your drivers following too close? As a business owner, reducing your employee’s chances of being involved in a rear end collision is like money in the bank…and being involved in a rear end collision, is like letting someone else cash the check on your business. Rear-enders are a major type of accident claim, although they may be disguised in accident reports as ‘inadequate surveillance’ and ‘improper speed for conditions’. The bottom line is the trailing vehicle was following too close to the vehicle rear-ended. 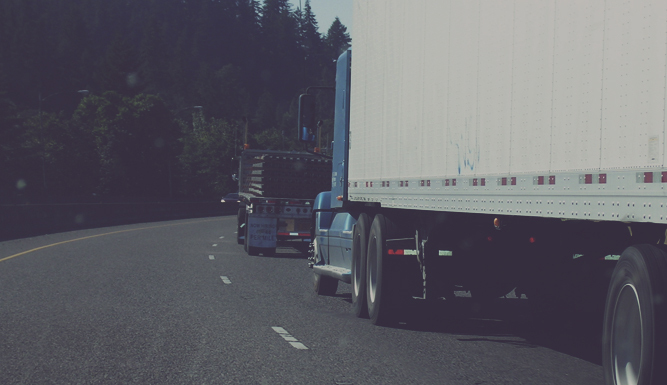 If you’re looking to avoid rear end collisions in your business, it’s advisable to establish a safety plan to educate your drivers. The instruction you received when you first got your driver’s license is still true; increase your trailing distance a car length for every 10 mph. An easy method is the 3-second rule. Simply count (one thousand one, one thousand two…) when the vehicle ahead passes a landmark; like a road sign, overpass, or parked car. You should have at least 3 seconds before your vehicle reaches the landmark. The take away here is to increase your following distance, giving yourself time to react to a sudden stop, a swerve due to an object in the roadway, or a sudden turn by the driver you’re following. If you are the leading vehicle, be aware of driver’s behind you. This is particularly true with Class III and larger commercial vehicles. When you brake, do so early and gently. It’s always a good idea (and in some states it’s the law) to signal within 200’ of making a turn. Be certain to also signal when changing lanes. Additionally, always decrease speed slowly when you anticipate a stop or slowing due to traffic congestion or a changing signal. Understanding that the driver behind you is tailgating can reduce many accidents. Accident avoidance from tailgaters is as simple as signaling and moving over to the next lane when it’s available. On two lane roads, slow moving vehicles should make an effort to occasionally move onto the shoulder to allow vehicles to pass. When not available, turn on your hazard lights to warn the driver behind you that conditions are dangerous. Do not press on your brakes to ‘warn’ the trailing driver. The deceleration may cause an accident that you would be responsible for if there was no just cause to brake in the given circumstances. Lastly, watch your lane and provide an escape route when traffic starts to congest. This will give you the extra space and time to react to conditions and avoid an accident.